Renny is a larger than life character who is beloved throughout the airshow world as much for his one-of-a-kind personality as he is for his aggressive aerobatic routines. Flying the legendary Russian Sukhoi-29, Renny Price is known as one of the world’s greatest aerobatic pilots. 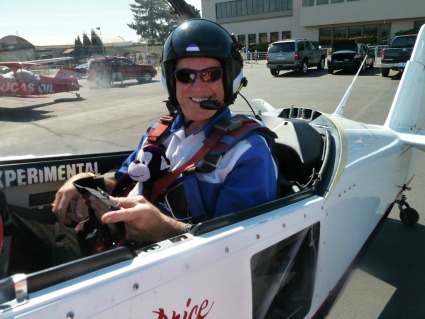 In addition to his fearless skills as an aviator, Renny brings an unbridled joy of life to his work and he is known throughout the industry for his tireless efforts to spread his love of aviation to airshow fans, school groups and newcomers to airshows. If he’s not in the cockpit at an airshow or preparing for his performance, he will most likely be found with a big smile on his face working the crowd lines, shaking hands, signing autographs and engaging the fans with his unique brand of airshow fun.